Our quiet 24 room boutique country inn was the first motel in Solvang, built in 1950. It was fashioned after a classic Danish farmhouse and built on the fringe of Solvang's old world European village. overlooking the rolling hills. It is walking distance to shops, restaurants and wine tasting rooms. Located in a quiet setting, with gardens and fountains, in the Santa Ynez Valley. 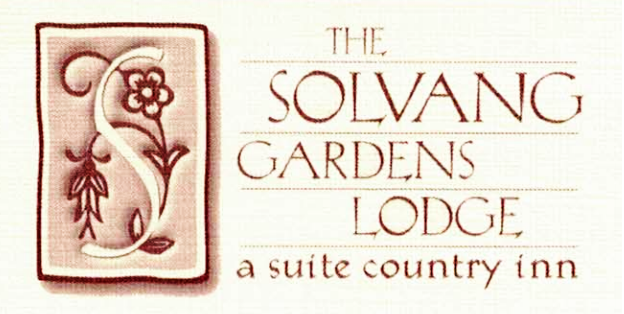 Solvang Gardens Lodge, a Boutique Hotel, is an escape from the chaos of contemporary life. Nothing fills the senses with joy quite like nestling in among an abundance of flowers, trees and greenery. The Lodge gardens are an ever-changing experience in color, stone and water. Our hidden backyard garden is available to all guests, complete with fruit trees for you to enjoy.